The New Year ((O)shogatsu (お)正月) in japanese) is probably the most important holiday of the year in Japan. Until 1873 the country was following the Chinese calendar, but from that date onwards it adopted the Gregorian calendar and thus today celebrate the New Year in our same day. For Japanese people the end of the year has a strong symbolic value, because they traditionally consider each year as something in its own right, so with the end of a year, they close with everything about it and can start a "new life". You can more fully understand everything you'll read in the next lines if you'll remind this premise that I have just wrote. The days around New Year are deeply felt among people, many offices and places, both public and private (including also tourist attractions such as museums or amusement parks) close up to 5-6 days during this period. Before December 31, in all the houses, people do the cleanings of the end of the year (susuharai), to remove all the "dirt" of the previous year and be clean for the new year. Other very popular customs ar the otoshidama (お年玉), that is giving money to children and teenagers, usually until they finish high school, and the nengajo (年賀状), that is sending greeting cards to all your friends and relatives. This has become a social duty from which the Japanese can not escape, and in the days around New Year the Japanese Post even employ more staff in order to ensure the delivery of all the cards on January 1. The evening of New Year's Eve (Omisoka, 大晦日) is usually spent with the family, they eat together, play and watch TV. In particular there is a very popular show that since 1951 is transmitted by NHK: Kohaku Uta Gassen, an entertainment program where various bands, the most popular of the year now ending, challenge with each other, and it ends shortly before midnight. After midnight, Buddhist temples ring 108 tolls of a bell, a symbolic event that "drives out" the 108 original sins of the Buddhist religion, and many people go to temples and shrines for the first visit of the year, while others will go the next day. With the new year, some everyday events gain an strong symbolic value when they occur for the first time in the new year. 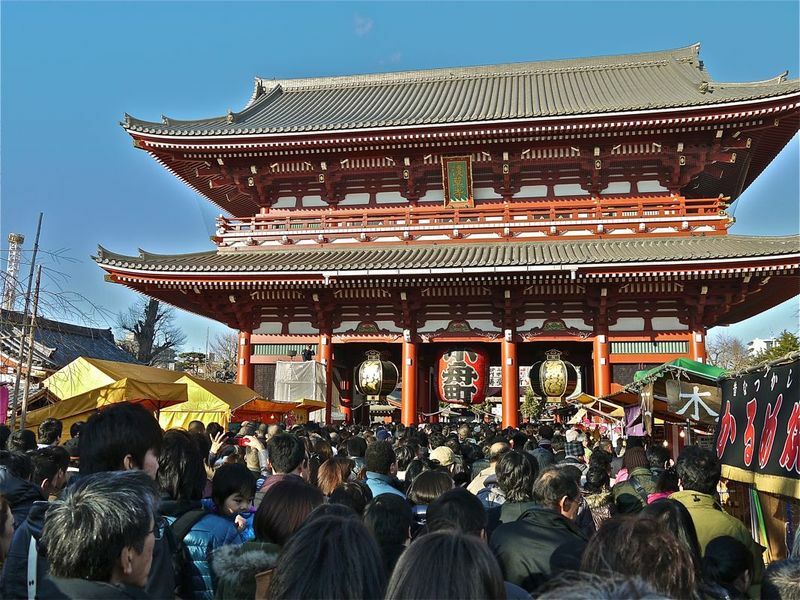 The most important event is precisely the hatsumode, which is the first visit to the temple, usually a Shinto one, but sometimes also Buddhist, that can happen on New Year's Eve after midnight, or on the next day or on the following days. 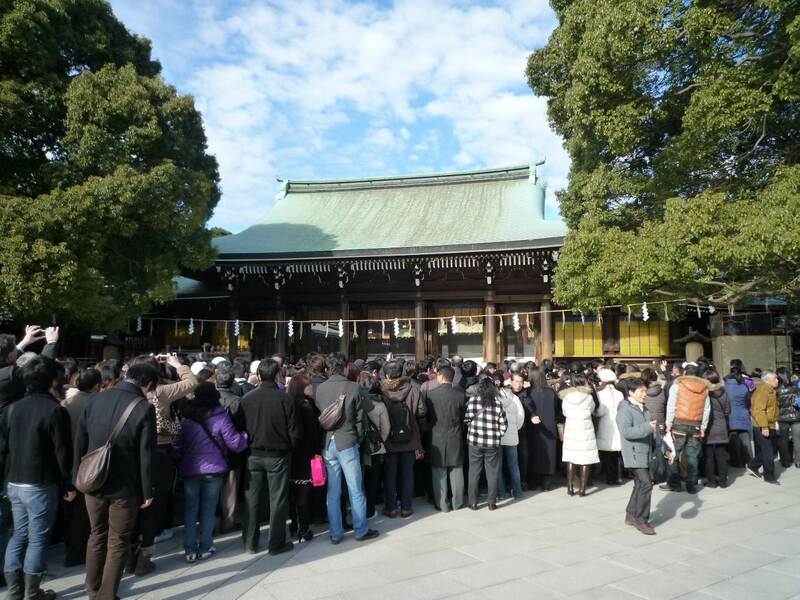 They go to the temple dressed in traditional kimono to pray and express their wishes for the new year. Other events with a strong symbolic meaning are, for example, the first dawn (hatsuhinode), the first sunrise (hatsuhi), the first dream (hatsuyume), the first smile (waraizome), and more. 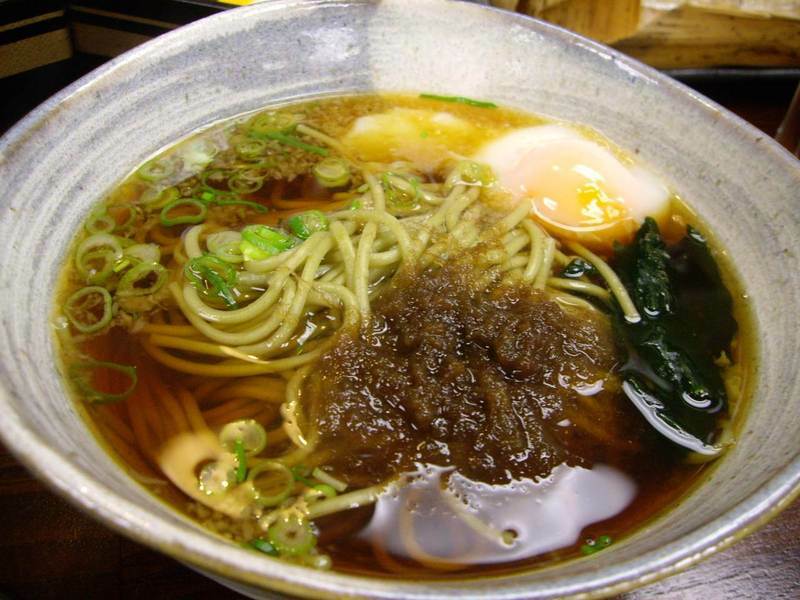 On the evening of New Year's Eve a dish that never misses in the tables of the Japanese is the soba toshikoshi, buckwheat noodle soup (a dish similar to ramen) as a wish of longevity. Sometimes, instead of soba, udon are also used. On the morning of January 1 it is tradition to sip a cup of a particular green tea (Ofukucha, 大福茶) with seaweed and a umeboshi (梅干. pickled plum) inside. 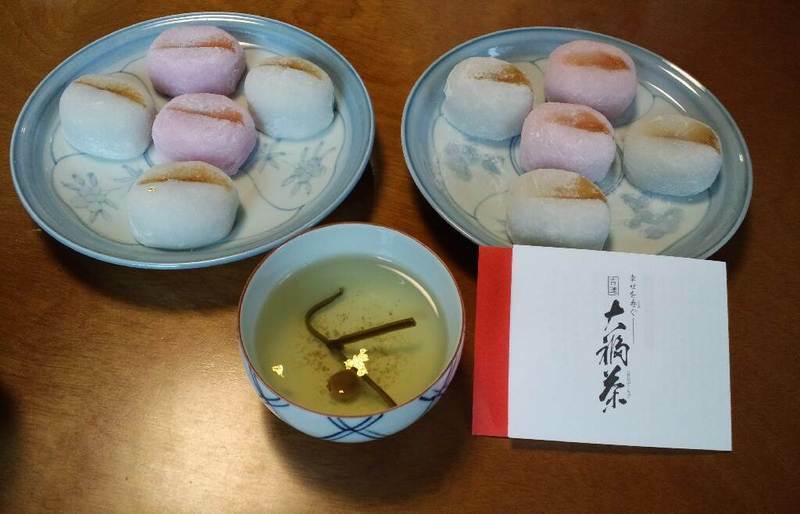 During New Year day a lot of Japanese also eat a wide range of foods with symbolisms of good luck in various aspects of life, for example the kuromame (soy black beans) as a symbol of health, the kazunoko (herring roe) as a symbol of fertility, shrimps, a symbol of long life, and so on. All New Year-related dishes are called Osechi-ryori (御節料理), and should all be prepared during the last days of the old year and be eaten during the first three days of the new year, following the tradition according to which cooking during the first few days of the year would not be a good omen. This tradition, however, is getting lost, and many families ignore it or just buy some ready-made food in the shops rather than prepare it in advance.